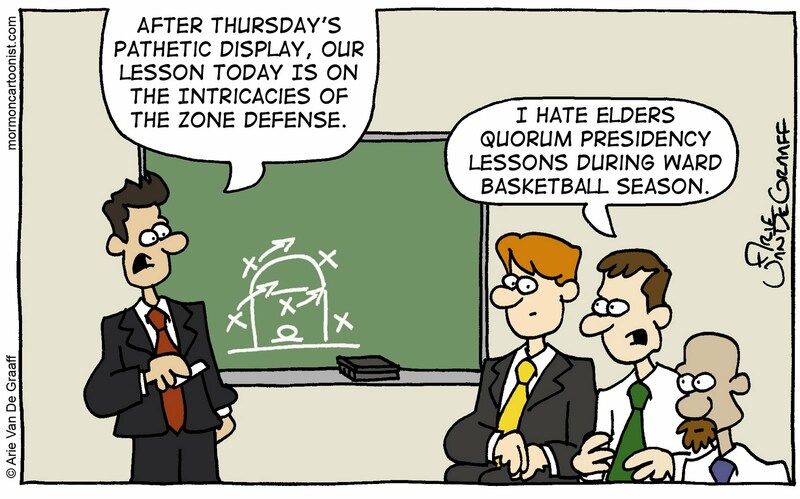 I love the fact that the Church trusts its Elders Quorum presidencies, Relief Society presidencies, and High Priest group leaderships enough to give them one Sunday a month to decide on their own a lesson topic. 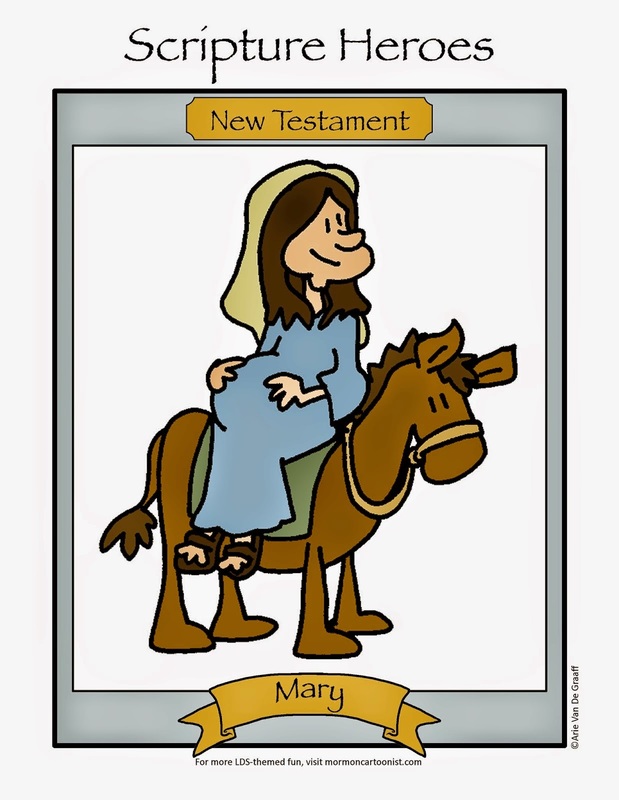 I, for one, enjoy the unstructured nature of a first Sunday lesson in addition to the homogeneous curriculum otherwise presented in the 2nd and 3rd hours of Church. The guy in the middle may not like the lesson topic, but the one on the end seems pretty interested. It makes me appreciate Relief Society. Yeah, by looking at him you can just tell that he's one of those ex-jock types who takes pride in the dirty tricks he's picked up over the years that he can pull off without the volunteer refs catching him. Man, I hate those guys. 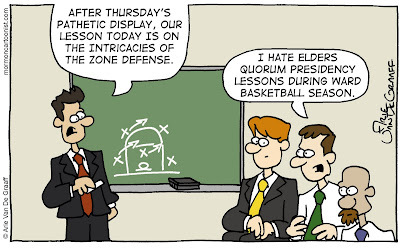 Does that stuff really go on in Elders Quorum? I want to sneak in to find out. Based on the persistence of the elders in our ward in trying to get Marc to play ward ball, I would guess yes. Our High Priest group leader is a former college-level basketball coach. We haven't had this exact lesson, but we've come awfully close a few times. At least he doesn't make us do wind sprints if we mess up a home teaching assignment! That's quite a bushy goatie for the bald guy. I'm actually surprised the quotation isn't coming from him since he doesn't strike me as the basketball type.